Turbine generators are employed by power plants, hospitals, government agencies and other mission critical users to gain additional power generating capacity during periods of peak demand, and as an emergency backup system in the event of outages. Manufactures of these generators utilize Flow Technology turbine flow meters to measure inlet/outlet fuel, as well as water injected into the system for NOx control. The meters provide repeatability of ± 0.05% and linearity of 0.10% of reading. 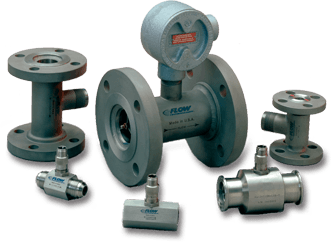 Manufacturers of gas seals for large industrial turbines also use Flow Technology’s turbines flow meters to precisely meter seal leak rate. Excess leakage is an indicator of seal failure. The FT Series of industrial turbine meters is the ideal solution for this application.